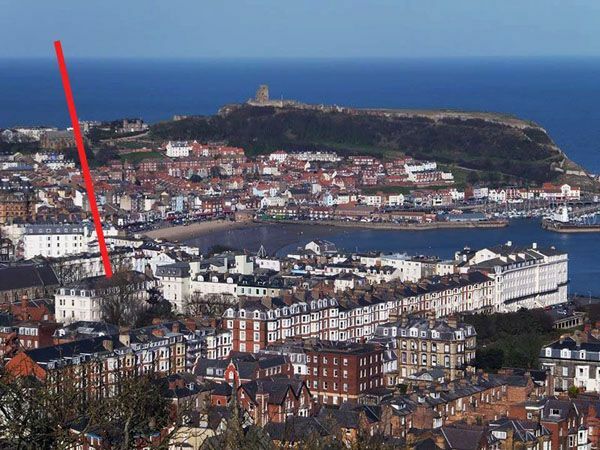 Another fabulous holiday in Scarborough and another great apartment supplied by Bedwyns. Wonderful apartment in a great spot close to the cliff lift, spa, beach, restaurants and the beach. 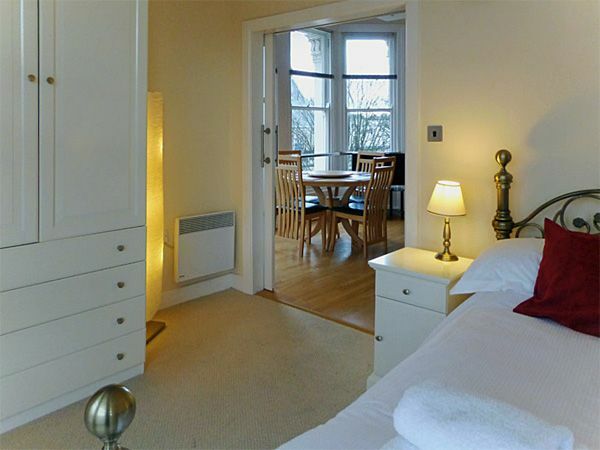 EASTER SUNDAY 3 nights for a couple using double £223 (£236 if using sofa bed too). 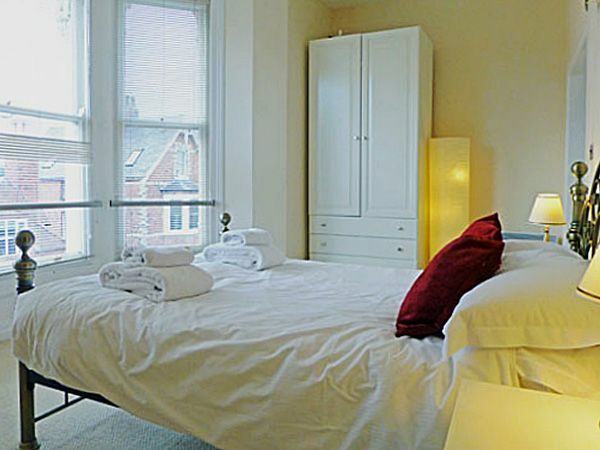 This is high-standard yet affordable Scarborough self-catering suitable for 2, 3 or 4 guests. 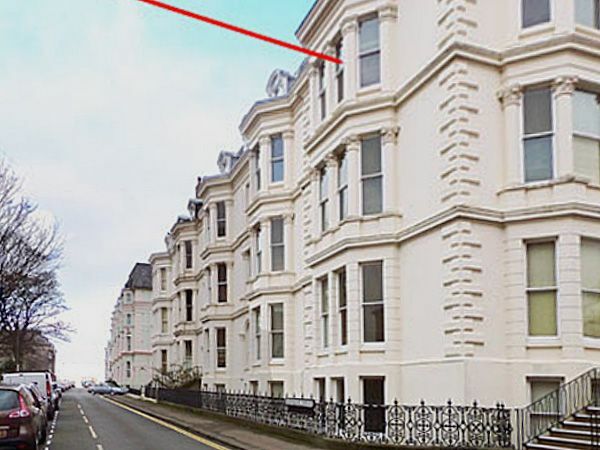 In a pleasant, quiet conservation area convenient for the sea-view Esplanade and Spa Theatre. 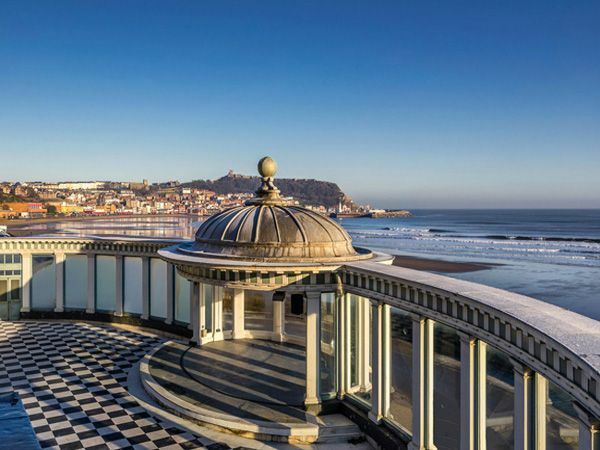 Handy for local shops, up-market bars and restaurants and scenic South Cliff walks - hence popular with couples. Modern and uncluttered with wooden flooring throughout. Guests enjoy the lovely open views from the feature bay windows. There's even a glimpse of the sea. You'll find the lounge is a super place to relax and dine. Everything you need for a cosy night in... TV, DVD, dining table with 4 chairs and a huge L-shaped fabric settee (convertible to a comfy double bed). 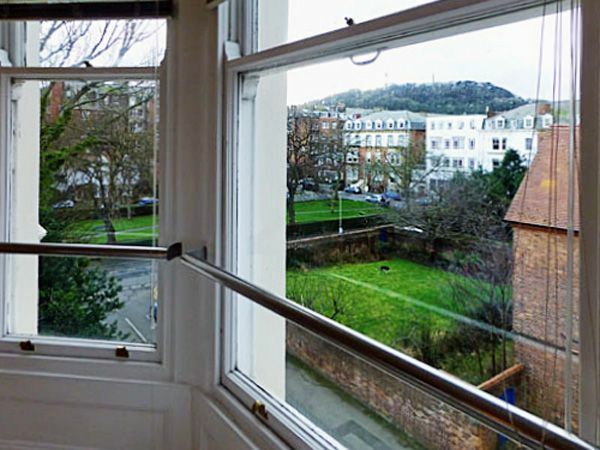 This lofty and light, multi-purpose space overlooks St Martin's Church* through a huge bay window. Adjacent to the lounge is the superb kitchen. 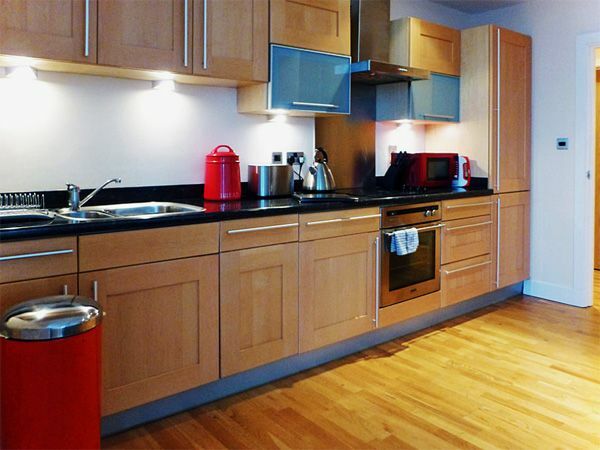 Modern and generously-equipped with dishwasher, fridge/freezer, oven, ceramic hob, microwave etc. The washing machine is situated in the boiler room - off the apartment's entrance hall. Open the double doors from the lounge to reveal a gorgeous large bedroom with lovely double bedstead, bay window, wardrobe, bedside cabinets and reading lamps. 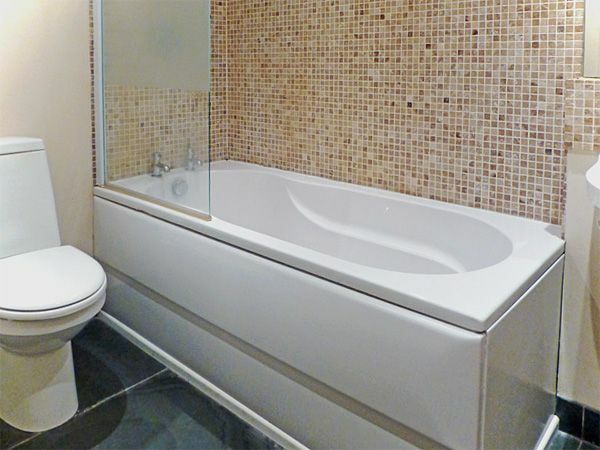 There's separate access to the bathroom from lounge and bedroom - which is handy if both rooms are in use. 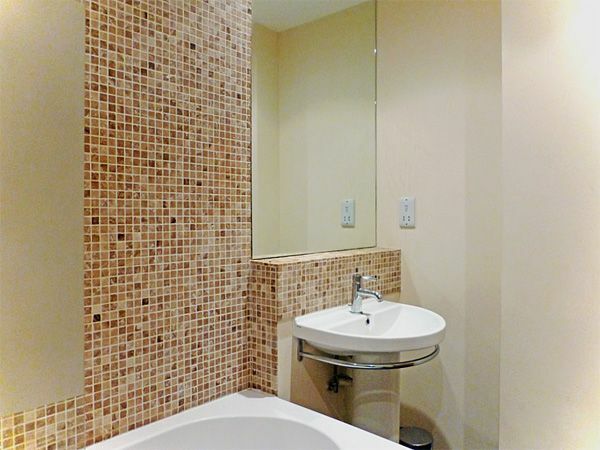 The bathroom is of a similar superior quality to the rest of the accommodation having a tiled floor, full-size bath, shower over bath, heated towel-rail, hand washbasin and WC. On arrival you reached the main door via 12 steps. 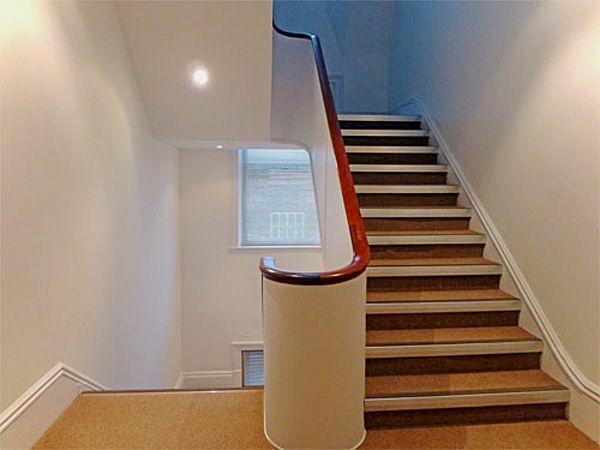 The apartment is accessed by a lift (or stairs) and is all on 1 level. 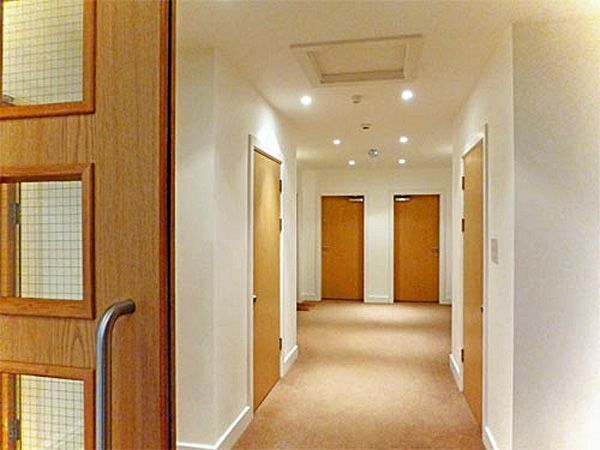 Automatic lighting is triggered as you walk through the well-kept communal areas. 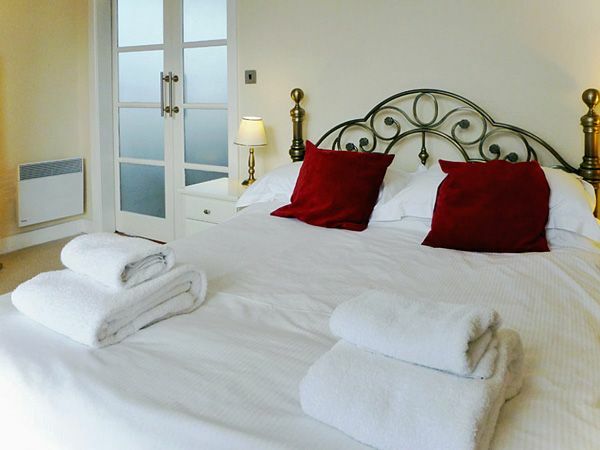 The double bed is made up ready for your arrival, and (if booked) extra linen is provided for the bed settee. In addition, tea-towels, bath mats, hand and bath towels are supplied. .
You can easily control the modern, efficient electric heating. Guests have Internet access via a "dongle" provided by the property owners.. and 4G reception is usually reliable. 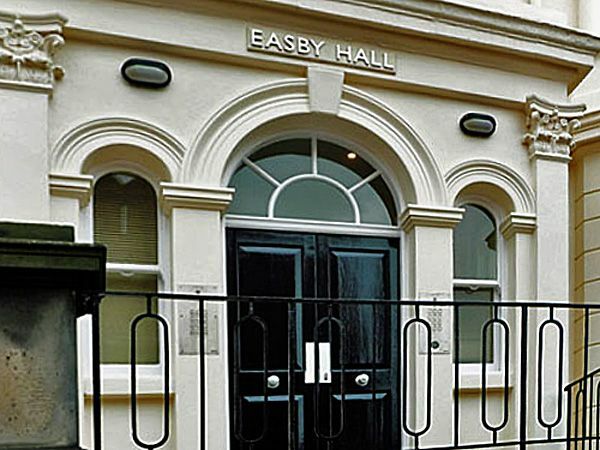 Just to the front of Easby Hall is plenty of non-designated, on-street parking. Free 24-hour parking permits are provided on arrival for the duration of your stay. Alternatively, you can use disc-type permits for parking up to 3 hours, or buy long-stay permits. 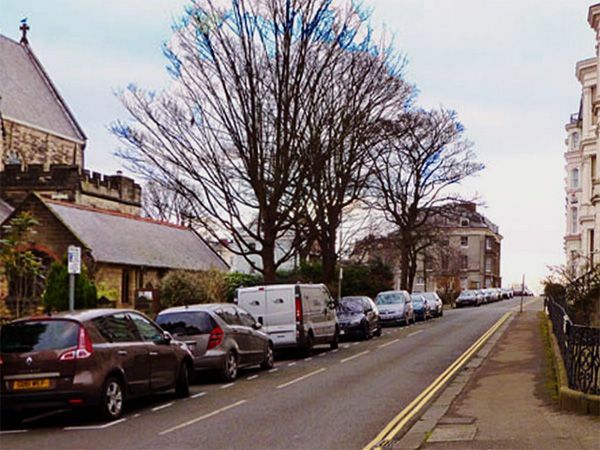 Long stay permits are available from Scarborough Council 01723 23 23 23 to allow parking in any long-stay car park in the area. 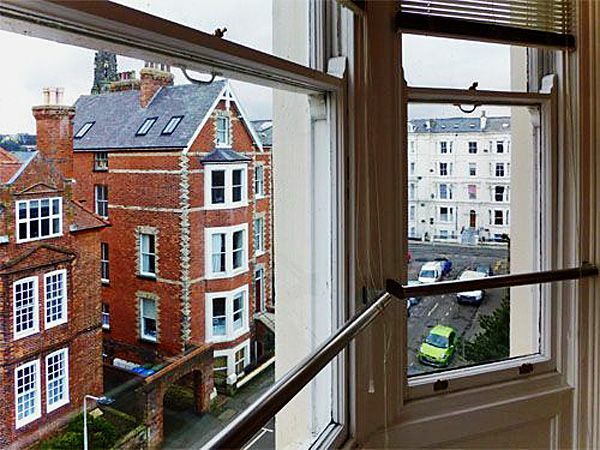 This classy apartment is close to Scarborough's famous Esplanade, which offers spectacular, panoramic sea and town views. 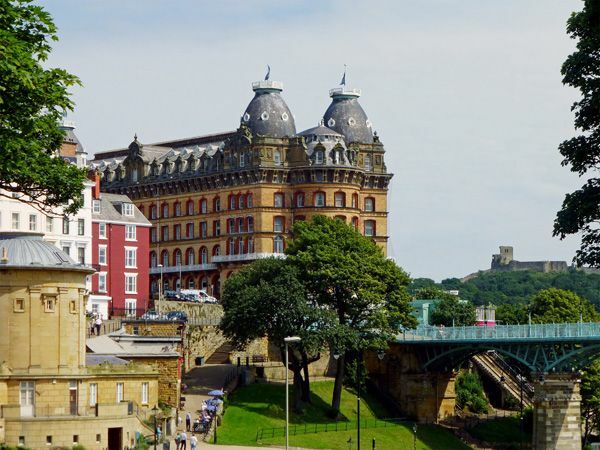 You will be staying in the South Cliff area of Scarborough ... away from the hustle and bustle of the resort yet just across the bridge from the Town Centre. 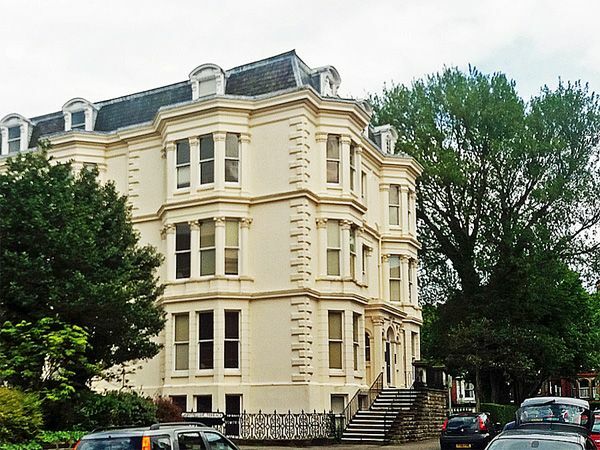 Only a 5-minute walk to local shops, bars and restaurants at Ramshill. If you're not bringing the car then it's an easy walk (or 5 min taxi) to the Train/Bus stations. 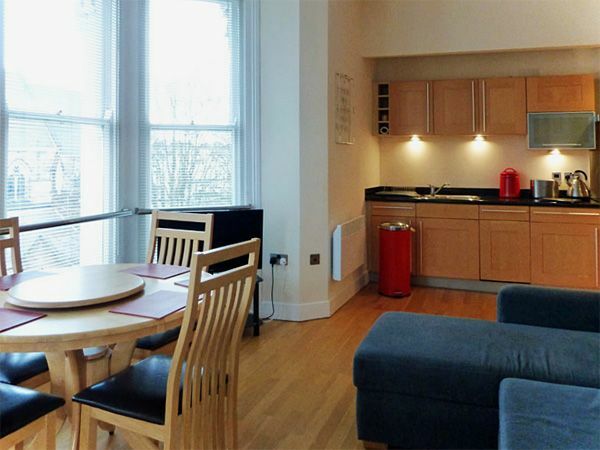 Located just 200m from the Esplanade . 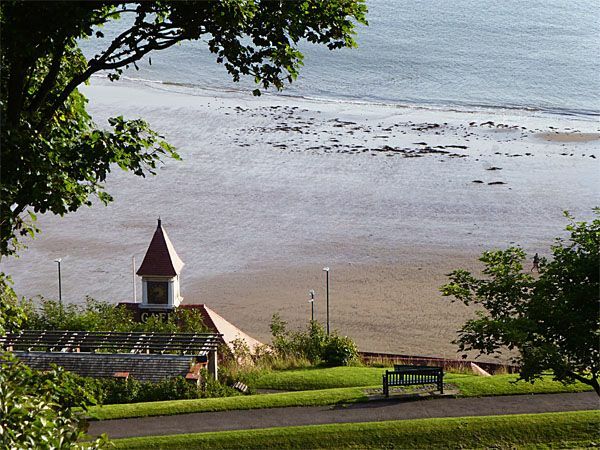 Here you can access the lovely garden pathways winding down to the South Bay and Spa... or catch the Funicular Cliff Lift down to the Scarborough's foreshore and south bay beach. Planning a drive out? No 14 is handy for the A165 Whitby to Bridlington Coast Road, and the A64 to York and Leeds. ACCESS: There are 12 steps to the main door of Easby Hall. 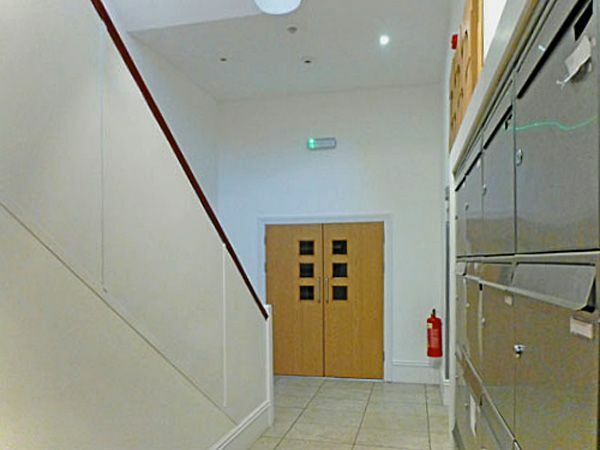 You access the flat by lift from the ground floor. The accommodation itself is all on one level. *At St Martin's Church you can see work by Dante Gabriel Rossetti, Edward Burne-Jones, Ford Madox Brown, William Morris (and several other lesser artists) of the Pre-Raphaelite School of 19th century English art. The quality of their stained glass windows is reckoned to be second only to that of the very best medieval glass. Great location and parked nearby. Flat was wonderful and Sainsbury mini supermarket a short walk away. Never needed to use car all week. Easby Hall Flat 14. Have been coming to this building for 12 years now. We still have a great time. Fabulous customer service from Bedwyns (as always). It was rather a last minute booking and Diane at Bedwyns was very helpful and accommodating. Highly recommended. Our second stay here. 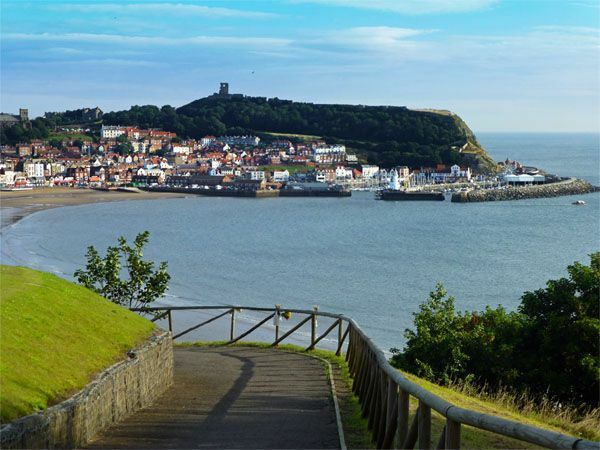 The apartment is roomy, bright and modern and in an excellent, quiet location on the south side of Scarborough. Just a minute's walk to the top of the cliffs, near the Crown hotel. Can't fault the accommodation in any way! 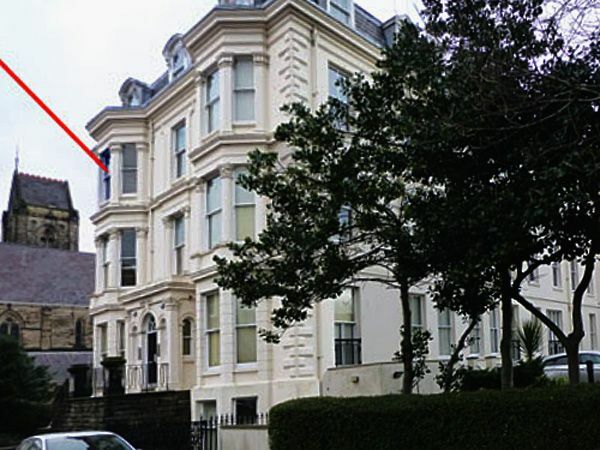 This property was recommended by a fellow Bedwyns visitor and it didn’t disappoint. 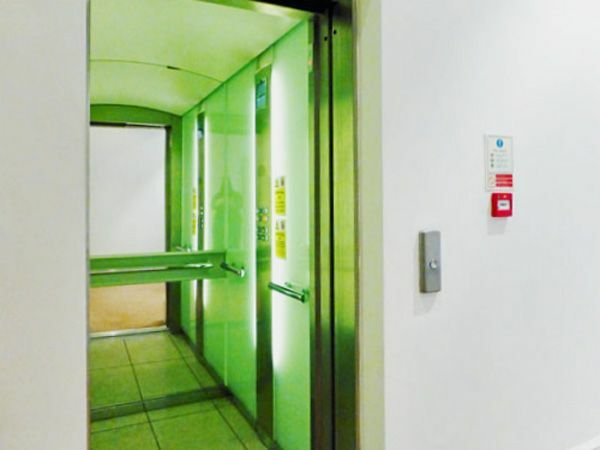 The biggest factor for myself was the lift access as my mum can’t cope with stairs as she used to, there are steps up to the front door but after that it’s straight to the lift up to the flat. The flat itself it’s light and airy and very clean. 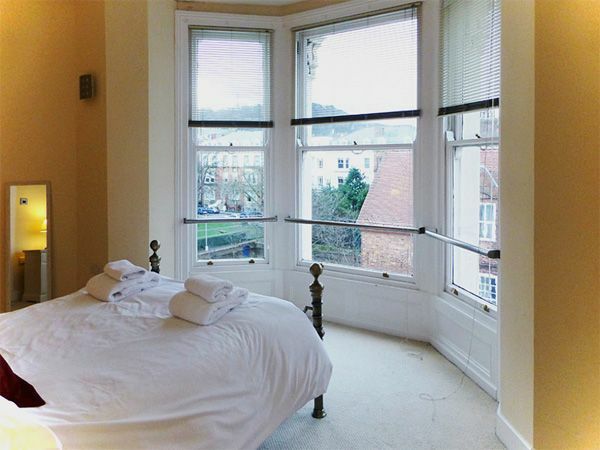 We have always stayed on the south cliff and the location of this accommodation is ideal for the local shops and not far to the train station (which is ideal for us as we usually take trips to different places whilst in Scarborough) I would definitely recommend this property and will hopefully be staying again. Another Bedwyns gem! 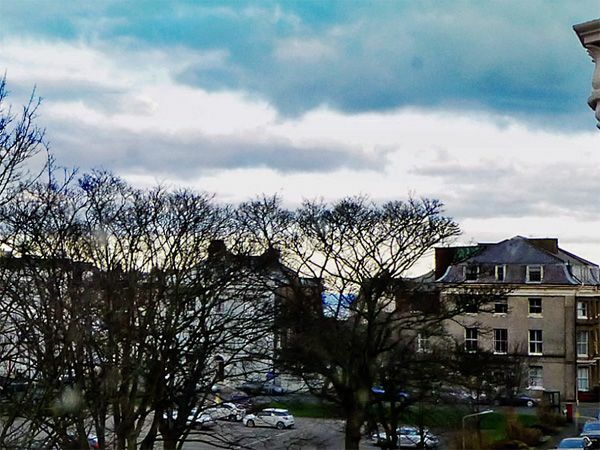 We love staying in this building, it stands out in the area as being well kept and is perfectly situated for enjoying Scarborough. 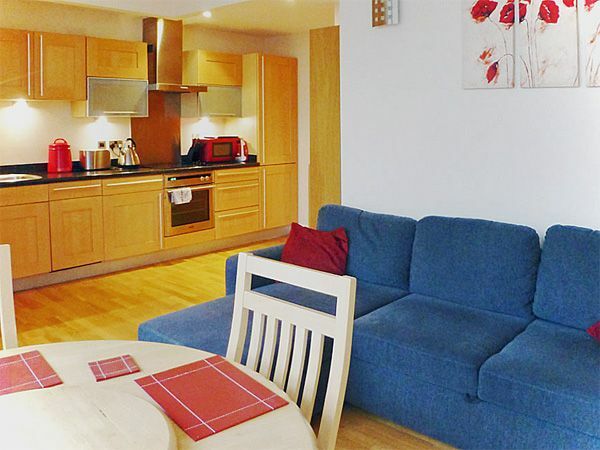 The apartment is lovely and has everything you need so that you enjoy staying in as well as going out. We have stayed here three times now and would definitely recommend. 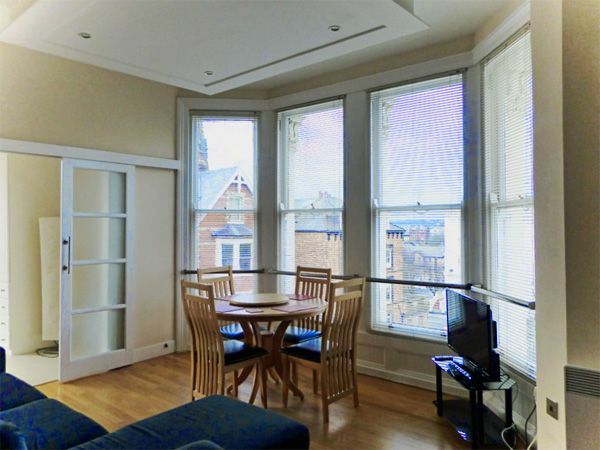 A very clean and spacious apartment in a quiet area of Scarborough. 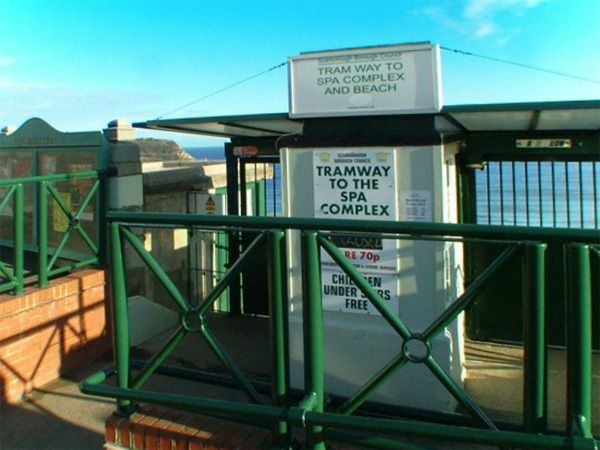 It had everything thing you could need, and only a five-minute walk onto the promenade, and a 10 minute walk to the town centre. 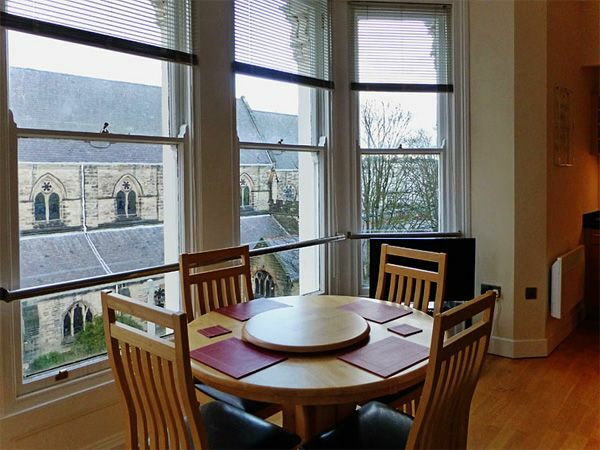 The parking space was a bonus, if we were to visit Scarborough again we would definitely choose this apartment , and would recommend to anyone.